September 21st is celebrated around the world as International Peace Day. To commemorate this day, the entire school takes part in a prayer service for peace each year. 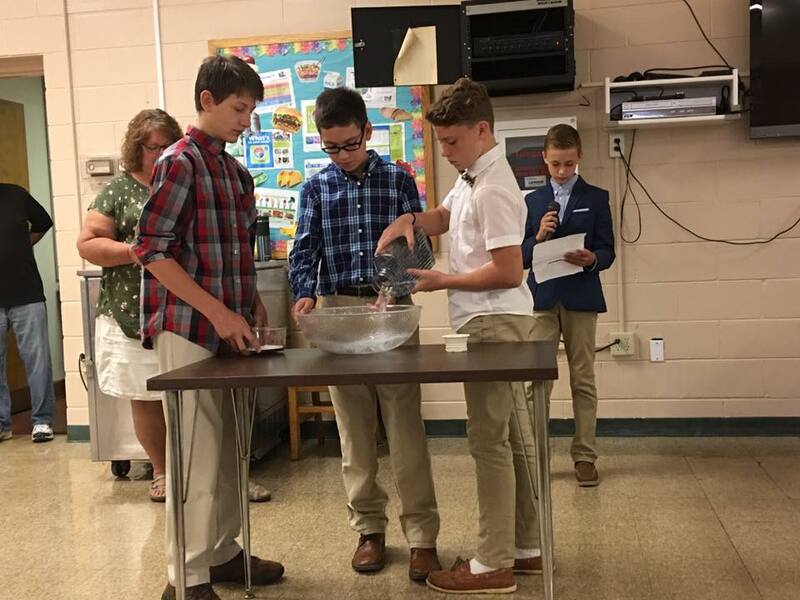 To add an element of service this year, the whole school had the opportunity to make peace cranes to exchange with another school in Oaxaca, Mexico as part of the Peace Crane Project. Whenever it falls on a weekday, all students in grades 4-8 attend the Clearfield American Legion’s Veterans’ Day service. SFS holds a Veterans’ Day prayer service and reception at our school, inviting all veterans in our families as well as vets in our local community. The vets attend Mass with the students and then come back to the school for a student presentation and refreshments. St. Francis School participates in Wreaths Across America, an organization which places a wreath on the grave of veterans throughout the United States. This year, we sold t-shirts and raised enough money to honor every single veteran (165 of them!) at the Beulah Cemetery in Ramey. Our students, faculty and families participated in the laying of wreaths both in Ramey and at Arlington National Cemetery near Washington DC. Each class in SFS is currently making birthday cards for parishioners who are over 80 years young. In the past SFS has held a tea for our students and their grandparents. Throughout the year our students call on our local facilities for the elderly where we might give them cheer with our Halloween parade or caroling at Christmas. 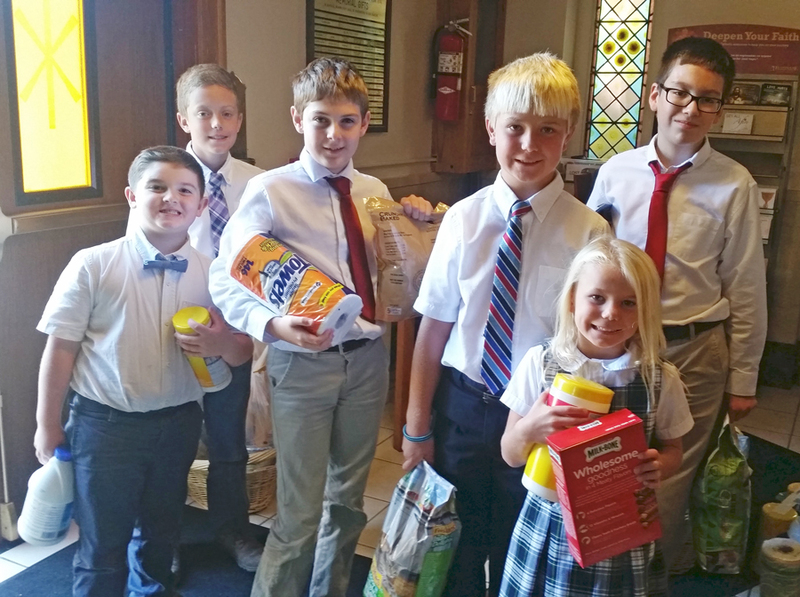 In November the school collects non-perishable food items for the Clearfield Area Food bank. The Middle School students deliver it to the food bank the week before Thanksgiving. During Lent the school collects change weekly for Operation Rice Bowl. This international organization provides food and services to hungry people in many different countries. In the past SFS has held a “Cereal Bowl”. Students bring in a box of cereal to earn a ticket to the “Cereal Bowl”, where cereal-themed games and activities are played. The boxes of cereal are donated to the Food Bank. Our Advent Project this year was “Christmas Colores”. The whole school wore Christmas colors in exchange for money which was sent to Puerto Rico to help the victims of the hurricane. Different clothing drives have been held throughout the years. We have collected mittens, socks, and hats. This year our kindergarten has collected pajamas for our local Children and Youth Services. In honor of our patron saint, St. Francis of Assisi, the school does a collection for the local SPCA on his feast day every October. The 8th grade puts on a carnival annually on the afternoon before Thanksgiving vacation. All proceeds go to a different beneficiary which is determined by the eighth grade students.